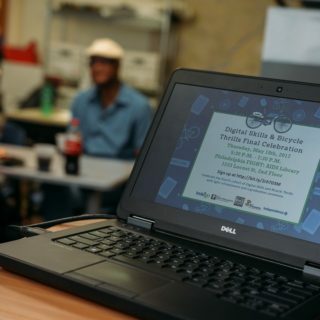 The recently announced program is called “Digital Skills and Bicycle Thrills,” and it will use free Indego bike share memberships to motivate and engage 30 low-income adults as they gain digital literacy skills. 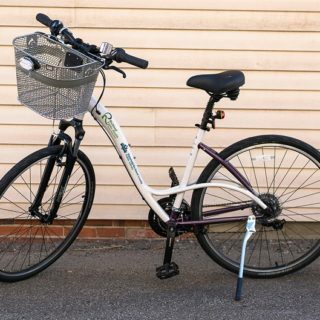 The program will provide participants with six months of free Indego membership in exchange for completing a flexible, month-long, bicycle safety certification that will include self-paced online assignments, weekly discussion topics and group rides. The pilot program is a collaboration between the Mayor’s Office of Transportation and Utilities, the Office of Innovation Technology, Indego, the Bicycle Coalition of Greater Philadelphia and a network of public access computer labs called KEYSPOT. There are 50 of these KEYSPOT labs scattered across the city, and residents who needed access to personal computers or the Internet visited them 133,250 times last year..
Jennifer Kobrin, the associate director of the Mayor’s Commission on Literacy, which operates the KEYSPOT labs, adds that it isn’t uncommon to see people waiting in lines for time on the computers. 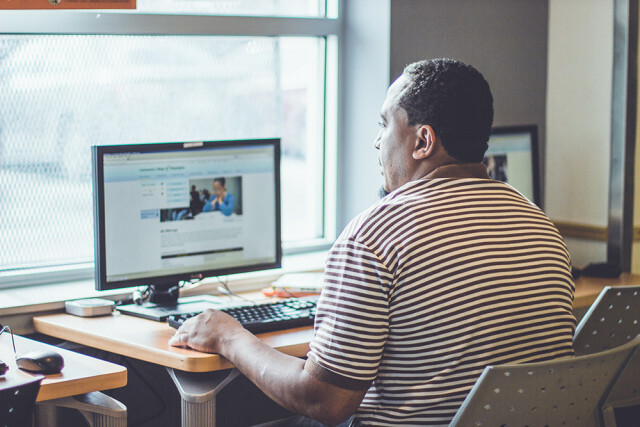 “It’s one of the only places where you can get free computer access and WiFi without the time limitations that come with the libraries,” she explains. After seeing the impact of the KEYSPOT labs within various underserved communities in Philadelphia, Carniesha Kwashie of the Mayor’s Office of Transportation and Utilities recognized that the two city-run agencies share similar focuses on equity and could be good partners. 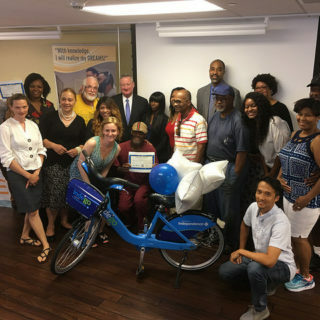 The two city organizations started by addressing the perceived need for physical locations where people could go to learn more or sign up for Indego. One of the potential barriers keeping people away from bike share is that people must use the website to sign up. Similarly, one of the takeaways in early focus groups with low-income people was that they wanted a physical location to go to in order to signup or ask questions. 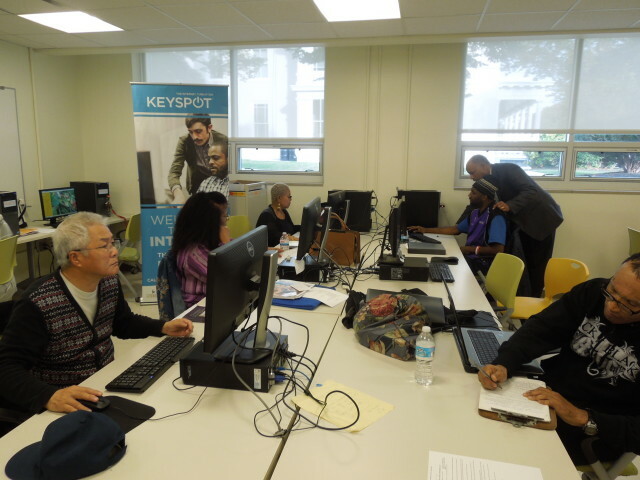 So, the partners taught KEYSPOT staff how to help people who had questions about the signup process or cash payment option. From there, the possibilities for more proactive collaborations grew. That’s the thought process behind Digital Skills and Bicycle Thrills. It’s about using bicycles—specifically Indego bike share bicycles—as a way to keep people engaged. Kobrin says that past digital literacy programs held by the Mayor’s Commission on Literacy always reinforced the same truth about learning: that information doesn’t stick unless the person learning is invested. The cohort of up to 30 people will begin the pilot program in the spring.